Home | LASIK | Is LASIK Eye Surgery Right for Me? If you are considering LASIK corrective eye surgery, you must first attend a consultation so our refractive eye surgeon can determine if you are a good candidate. During this visit, a preliminary screening will be performed, which entails various measurements being taken, including pupil size and corneal thickness. Before moving forward with your surgery, LASIK surgeon Alan Faulkner, MD will conduct a thorough eye examination. You will also have the chance to discuss your goals for the procedure, as well as learn about the benefits and potential risks. After assessing your needs, Dr. Faulkner will help you understand what you can expect from LASIK, as well as post-operative care. Our goal is for you to make an informed decision about your surgery and have realistic expectations of what you can achieve following your procedure. If you are interested in learning more about the LASIK eye surgery procedure performed by our leading surgeon in Honolulu, Hawaii, please contact Aloha Laser Vision today and schedule a free, private consultation. If you are considering LASIK eye surgery, please note that we provide an initial vision screening and consultation free of charge at our facility in Honolulu, Hawaii. Designed to evaluate your refractive surgery and subsequent treatment needs, the vision screening and LASIK consultation takes about one hour. If you have already made your decision to have refractive surgery and are ready to schedule an appointment, the screening/consultation can be combined with the preliminary comprehensive exam. You can wear your contacts to the screening, however, if you wish to continue with the comprehensive dilated exam you must be out of contacts a minimum of 3 days for soft and 1 week for toric lenses. To ensure your eligibility for refractive surgery, we will take a short medical history. Your eyes will be examined with an auto-refractor to determine the degree of your refractive error. Also, bring your glasses or contact lenses and information about their power, including copies of past vision prescriptions, in order to establish the stability of your prescription. The thickness and shape of your cornea will be checked with our Pentacam corneal analyzer to find out if your cornea is healthy and thick enough for LASIK eye surgery. Your pupil size will be measured in dim light using an infrared pupillometer to assess your risk of glare, halos, and night vision problems. For those patients over 40 years old, or who wear bifocals or have difficulty focusing on near objects, the option for monovision LASIK will be addressed. 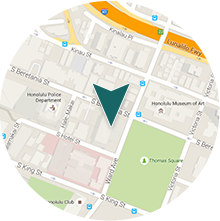 After your LASIK eye surgery screening, Dr. Faulkner will consult with you personally at our practice in Honolulu. First, he will briefly examine your eyes, and then they will discuss your test results. In order to determine your best options, he will ask about your lifestyle, hobbies, sports activities, and most importantly, your expectations and goals regarding refractive surgery. 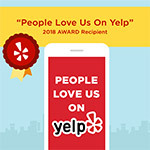 After this discussion, Dr. Faulkner will give you their opinion about what you can realistically expect to achieve, explain your treatment options, and answer any questions you may have. For more information about LASIK eye surgery or to schedule a free vision screening and consultation, please contact Aloha Laser Vision in Honolulu, Hawaii today. The last step prior to scheduling any laser procedure, a comprehensive eye examination is necessary to ensure that your eyes are healthy and can undergo laser surgery with minimal risk. The exam also confirms the amount of refractive error –nearsightedness, farsightedness, and/or astigmatism – the procedure is intended to correct. Before your comprehensive eye exam, stop wearing soft contact lenses for three days, toric lenses for one week, or hard or rigid gas permeable (RGP) lenses for at least three weeks. The shape of your corneas will stabilize during this time period. The comprehensive eye exam takes about two hours. During the appointment, your exact refractive error will be determined and your muscle balance and eye pressure checked. Eye drops will then be administered to dilate your eyes and allow us to more thoroughly examine your lens, optic nerves, and retina, in addition to re-checking your refractive error. Re-checking confirms the accuracy of the pre-dilation measurements. Dilation will last several hours, making your vision blurry and your eyes sensitive to light. Sunglasses are recommended, and we will supply you with disposable tinted shields for your regular glasses. To schedule a comprehensive eye exam, please contact Aloha Laser Vision today. How did I wait 17 years for this? Why did I wear glasses/contacts for 30 years? I must have been waiting for Dr. Faulkner. I kept saying to myself that I’ll look into it, but never did. Finally, with a combination of difficult contacts during a run or yoga and then hearing their ad on the radio, I finally pressured myself and went in for a consultation. Friendly and knowledgeable staff and Dr. Faulkner made it so easy. Day of the procedure I was definitely nervous but it was so much easier than I thought. Nothing hurt, I got a fantastic nap and I woke up seeing the world without any contacts or glasses. Still deciding?? Go in for the consult. The payment plan is amazing. The doctors are fantastic. Dr. Faulkner even makes homemade cookies on LASIK day :). Immediately following your surgery, you can expect slightly blurred vision. It is normal to experience minor discomfort after your procedure, and we recommend you sleep for several hours after or rest with your eyes closed. Typically, patients are able to drive to their next-day checkup, returning to work after their appointment. For the first week, you should wear protective eye shields, and you will be prescribed eye drops to use for five to seven days. It is important that during this time you avoid eye rubbing, as well as swimming or getting unsanitary water in your eyes. If you play contact sports, you will need to wear protective goggles for six months to a year. To ensure your eyes are healing properly, you will need to return for follow-up visits after the first week, at one month, at three months, after six months, and at the one-year mark. During these appointments, Dr. Faulkner will perform visual acuity and other tests to monitor your progress. Our team cannot stress enough the importance of following post-operative instructions and returning for your scheduled checkups. By taking proper care of your eyes, you can minimize your risk of complications. Should any problems occur, attending your follow-up appointments can allow for early detection and treatment. Once the surgeon’s skill and experience have been established, ask whether other non-surgical alternatives to LASIK are offered, or if LASIK is the surgeon’s only specialty. Are other ophthalmic procedures performed? Which laser is used and why? Is the laser updated regularly? Are routine follow-up visits included for a year following the procedure? Most importantly, however, is that the surgeon makes you feel comfortable and confident. 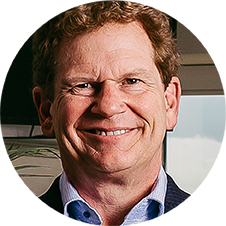 Dr. Alan Faulkner is committed to providing their patients with the highest quality vision treatments and procedures that serve to improve and optimize vision. To schedule a consultation, examination, or to find out more about LASIK eye surgery, please contact Aloha Laser Vision of Honolulu, Hawaii today. With advanced technology and a skilled LASIK surgeon, you can get the best possible visual results. Dr. Alan Faulkner, a leading LASIK eye surgeon practicing in Honolulu, Hawaii, has provided answers to the most commonly asked questions about the LASIK procedure. Patients can find out if they are eligible for LASIK by contacting Aloha Laser Vision today. What is the All-Laser LASIK Procedure I have heard so much about? Can I finally get rid of my glasses? Are there risks involved in LASIK surgery? What type of equipment is used during LASIK? What types of complications can arise during or after LASIK? What types of long-term complications can arise after LASIK? How do I find the right LASIK surgeon? To answer that question, a preliminary screening and consultation with your refractive surgeon is necessary to determine if you are a LASIK candidate. The screening should include corneal mapping, measurement of corneal thickness, and measurement of your pupil size to ensure that your required corrections are within the safe limits. 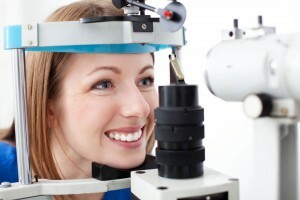 A complete eye exam should be performed prior to LASIK surgery. Your LASIK surgeon should discuss your goals and expectations with you, as well as the risks and benefits of the procedure. You should feel confident with your doctor’s assessment of your anticipated outcome. Since it is the LASIK surgeon who performs the procedure, they are ultimately responsible for your results. You should be comfortable with that person and the information they have provided you before you sign the consent form. Remember, there are no “dumb” questions except those not asked! 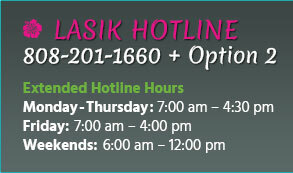 To schedule a consultation with a LASIK surgeon, contact Aloha Laser Vision in Honolulu, Hawaii. With the addition of the Wavelight® Refractive Suite, we are proud to offer all-laser LASIK. This means with the FS200 Femtosecond Laser, there is no need for a microkeratome to surgically cut the corneal flap. The special laser works in conjunction with the EX500 Excimer Laser for a vision correction procedure done entirely with state-of-the-art laser technology. The most exciting part is that while offering the ability to get the best results, we are doing it all with unprecedented safety and precision. Drs. Alan Faulkner knows that every patient’s eyes are different and therefore need to be evaluated independently and uniquely treated. We now have fully customized all steps of the laser vision correction procedure: custom diagnosis, (before the procedure), custom flap (to start the procedure), and custom treatment (to complete the procedure). It depends on your individual condition. One hundred percent of our LASIK patients have enjoyed significantly improved vision and now have adequate vision to drive legally without glasses. When a person reaches the age of 40, he or she normally begins to experience poor reading vision and may require reading glasses. This condition is called presbyopia. Depending on the individual, this may be corrected by monovision LASIK surgery, whereby one eye is corrected for distance and the other for close sight. Ask one of our eye doctors if this could work for you. Despite all the advancements in LASIK surgery, not all people can have perfectly corrected vision, and some may still require corrective lenses for certain conditions. Any surgery has risks. Of the more than 1 million people who had LASIK eye surgery in the United States last year, less than 1 percent experienced serious complications. The American Academy of Ophthalmology has declared LASIK safe and effective for most corrections. When you consider the risks of LASIK surgery, you should remember that long term contact lens wear also has risks, including serious infections that may cause loss of vision. Many ophthalmologists believe the long-term risk of contact lens wear may exceed the one-time risk of LASIK. To learn more about the risks of LASIK surgery, contact our practice in Honolulu, Hawaii. The procedure is virtually painless for most people, though a mild sedative will be offered to make you comfortable. Shortly after the LASIK surgery is completed, your eyes will probably be teary, light-sensitive, and may feel like there is something in them. The best thing to do at this point is rest with your eyes closed, or better yet, sleep. When you wake up several hours later or the next day, your eyes may still be a little light sensitive or scratchy, but will be greatly improved. Most people are able to drive to their follow-up visit and return to work the next day after LASIK surgery. The actual operation takes about 10 minutes. LASIK is a two step process. First, a corneal flap is created prior to laser treatment. In most laser centers, this is created by the microkeratome, a mechanical device that uses a steel blade. Although microkeratomes have improved considerably over the years, the risk of corneal abrasions, incomplete flaps, and inconsistent flap thickness still exists. Aloha Laser Vision utilizes the advanced WaveLight® FS200 Femtosecond Laser in place of a microkeratome for the majority of LASIK procedures. The second step of LASIK surgery is performed with an excimer laser. At Aloha Laser Vision, we use the WaveLight® EX500 Excimer Laser to correct refractive errors. This is the fastest excimer laser system available today in the U.S. It provides the most accurate results with a lower risk of complications. To learn more about the LASIK equipment used at our practice or to discuss the procedure with a skilled LASIK surgeon, contact Aloha Laser Vision in Honolulu, Hawaii today. A microkeratome is a mechanical device that creates the corneal flap in LASIK surgery using a steel blade. Its proper functioning is just as important, if not more, than the laser. Flap complications can have significant adverse effects on the outcome of LASIK surgery. These include incomplete or partial flaps, flaps that are too small, thick, or thin, buttonholes, and free caps. Although microkeratomes have advanced greatly, they still have large variations in the size and thickness of the flaps they create and are dependent on the individual eye size and shape, as well as the quality of each individual blade. The WaveLight® FS200 Femtosecond Laser is significantly more accurate than the microkeratome in creating predictable flaps and greatly reduces the risk of complications. With the advanced laser, the size and thickness of the flap is not affected by the size and shape of the eye. The Wavelight® EX500 Excimer Laser and FS200 Femtosecond Laser (the technology involved to make it an all-laser LASIK procedure) reduce the risk of complications reported with traditional LASIK, and we feel that it is very important for our patients. The advanced Wavelight® Refractive Suite technology has given many patients more confidence when considering laser vision correction. Our surgeons recommend the excimer and femtosecond lasers for all of our patients because they provide greater precision and may significantly reduce the possibility of risk. Tracking is the ability of a laser to monitor the position of the eye during treatment. There are both “active” and “passive” tracking systems. Passive trackers are less sophisticated and simply turn the laser off if the eye moves beyond a certain point. An active tracker allows the laser to follow the movement of the eye and adjust the laser beam to compensate. Only if the eye moves outside of the range of the tracker does the laser shutdown and then, once the patient is re-aligned, the laser starts out exactly where it left off. All of the LASIK surgeries performed in Hawaii before November 2001 were done either without tracking or with the slower video-based systems. Tracking is important because the amount of tissue removed in LASIK surgery is often less than the size of a single human hair; there is little room for error. Like any surgical procedure, complications can occur during or after the procedure. Flap-related complications are the most common type of complication that occur during or after LASIK. Over correction, under correction, and regression may occur due to many factors as treatment is based on the average response. Variations in corneal hydration, individual healing responses, environmental factors, and other unknown circumstances affect outcomes. Most of these conditions can be treated with an enhancement procedure once the eye heals and the refraction becomes stable. Typically this occurs three to six months after the original procedure. In rare circumstances enhancements may not be possible. Persistent glare, halos or starbursts are uncommon with larger ablation zones and small beam lasers. PRK: PRK is a surface ablation procedure used for patients whose corneal shape or thickness makes LASIK an inappropriate choice. This procedure is often referred to as “no-cut LASIK.” The recovery time of PRK is often longer than with LASIK. However, PRK may be a better alternative for certain occupations or lifestyles. Phakic IOLs or ICLs (Intraocular Contact Lenses): Phakic IOLs and ICLs are, in essence, implantable contact lenses that supplement, rather than replace, the eye’s natural lens. Clear Lens Extraction: Clear lens extraction—or refractive lens exchange—is the removal of the natural lens of the eye (as occurs during cataract surgery) with replacement by an intraocular lens implant. Although LASIK is a significant investment, a lifetime of glasses and/or contact lenses is considerably more expensive. In addition to accepting VISA, MasterCard®, American Express® and Discover®, we offer several financing options including fixed, low monthly payment plans and no-interest payment plans for up to 18 months for qualified applicants. In the long run, the difference between the cheapest and the best LASIK surgery center may only be a few dollars a month. A properly equipped and well-designed laser facility along with a well-trained, experienced staff is a considerable investment, but is necessary to achieve consistently good results. We are also pleased to offer CareCredit® financing options, as well as Chase Health Advance®, which specializes in financing for refractive surgery procedures. Our LASIK counselors can assist you with finding an affordable payment option that fits your budget. To learn more about financing your LASIK surgery, please contact Aloha Laser Vision in Honolulu, Hawaii today. Does the doctor only specialize in LASIK surgery? Does the surgeon offer non-surgical alternatives? Does the doctor routinely perform other ophthalmic procedures? Which laser does the LASIK surgeon use and why? Is the laser updated regularly? Are routine follow-up visits for one year included? Will the LASIK surgeon that performs the procedure consult with you during your preliminary screening and see you during your follow-up visits? What is the percentage of enhancements performed after the initial LASIK surgery and are they included in the fee? Does the doctor track his results? Most importantly, you should only choose a LASIK surgeon with whom you can communicate and feel comfortable. To learn more about our LASIK surgeon, Dr. Alan Faulkner, contact our office in Honolulu, Hawaii.